We know that there are plenty of places to go for Austin cremation plans or Killeen cremation options - we’re proud to be your premier choice. We’ll work with you to provide what you need to hold a beautiful, affordable funeral. Need to make immediate arrangements? We can help your family. If your family is in Austin, Bastrop, Cedar Park, Leander, Round Rock, Georgetown, Belton, Temple, Killeen, or Copperas Cove, we are here to serve you. 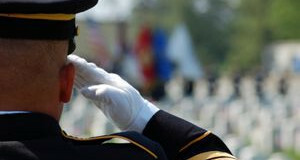 We are proud to offer affordable funeral services to our Nation's Veterans. Burial can be arranged in a National or State Veterans Cemetery. On behalf of a grateful nation, we are here to serve. Robert was awesome! He explained all our options and answered all our questions. He was respectful and polite and most of all efficient, this experience was made so much easier because of his help and professionalism. The staff was most helpful especially Kermit the dog! Thank you so much for making our experience a pleasant one. My father passed away just about a month ago. From the very first phone call to Robert to the day I picked up his remains he and the staff at Affordable Burial and Cremation were absolutely wonderful. Thank you all for everything! So happy that we chose Affordable Burial and Cremation Service for our deceased loved one. Our hospice company set us on a wonderful path when they told us about this option. Everything was handled smoothly from the time of body retrieval from our home to the time that I was able to obtain cremains and death certificates. Thanks to Robert and his entire staff for their caring and competence at this sensitive time for us. My family used Affordable Burial & Cremation for our father's service and our mother's service which were just one month apart. Both services were perfect for what our family wanted and very reasonably priced. We were able to select what we wanted and opt out of what we didn't want and without any pressure. Mr. Falcon, the owner, is even going out of his way to help me get my mother's death certificate amended. His staff - both administrative and in the field (like the people who picked up our parents after their passing) - are very caring and courteous. We also had pre-need contracts through Cliff Hall, a gentleman Mr. Falcon introduced us to. I cannot say enough nice things about Mr. Hall's professionalism, kindness, and courtesy. He was exceptional. I recommend using Affordable Burial & Cremation if you want reasonably priced services and attention to detail regarding each family's unique needs or beliefs. I would use this company again as well as the pre-need services offered by Mr. Hall. I want to say thanks to Mr. Falcon and his staff for helping my friends and I through a very tough time. At the very unexpected passing of their 6 week old son, my friends were, of course, devastated and I took over much of the planning for the service. Upon initial contact, Mr. Falcon was much more helpful than other providers I had contacted who were recommended by the social workers who came to support the family. I got up-front, straight forward information right from the start and at no time did they try to up-sell us on anything. The parents are simple people and wanted to keep this as simple and as natural as possible...returning their little boy's ashes to the ground to feed the growth of a memorial tree they planted in his honor. We got exactly that and they went really out of their way to help us expedite the cremation to fit in with the schedule we had set for the memorial service, not realizing the bureaucratic hoops we had to jump through to get the process completed. An incredibly tough time was made as smooth as possible by their help, compassion, availability, and professionalism. Thanks for making a difficult process a little less difficult. My appreciation for Robert Falcon and his staff at Affordable Burial & Cremation Service. Making final arrangements for my mother was an unwelcomed necessity for me. Robert handled my situation with professionalism and respect while maintaining the dignity and the privacy my mother deserved. Robert delivered his vast knowledge and experience with a direct yet compassionate approach, detailing each process, which enabled me to decide how best to honor my mother’s wishes. Both Robert and Jesse answered my every question patiently. Their prompt feedback and follow up set my mind at ease and let me know this was one less thing I had to worry about. The company also offered online grief support delivered via email. These daily affirmations have become part of my daily ritual of transforming my grief. Rather than being treated as “just another customer”, I was treated as a friend. Thank you Robert for helping me at a most difficult time. Affordable Burial & Cremation Service did an excellent job handling all the details we had concerning the funeral and burial of my father. Robert Falcon tried to make it a smooth and gentle time for my sister and I in planning. When we ran into some trouble with the burial part of the service, Robert stepped in and succeeded in placating the burial company even though that was not the original agreement. Robert is a very honest and up front man. He will guide you and tell you about all your choices in planning. He does leave all the decision-making up to you. It is nice to know that you are making informed decisions. I recommend that you contact Robert first before you contact any other funeral or cemetery director. It could save you trouble and extra money. Using Affordable's building for the viewing of my dad was a perfect plan. Two hours worked well, and there was a nice flow of people in and out. It was a more intimate setting than other places would be. I would recommend this family owned business for many reasons - it is family owned and their reputation is important to them, they are honest, they are definitely affordable, they are professional, and they are available whenever you need them. I am very grateful to them for what they did for my father and my family during our time of need! Thank you Robert and Affordable Burial & Cremation Service! I wanted to thank you for helping my family with my brother's cremation. He passed away 9/29/13 and you made one of the hardest things in the world a bit easier with your professionalism and kindness. With over 20 years in the industry, we are the most experienced and affordable Austin-based funeral and cremation service. We are 100% family-owned and operated; NO partners, stockholders or investors. All affordable services for Austin deaths are provided entirely in Travis County, and we own our own crematory. Founder and Austin native, Robert Falcon, created the first affordable funeral and cremation service in Austin over 15 years ago. Our family has also been in business for over 3 generations acquiring experience in funeral and cremation planning as well as repatriating remains to foreign countries. Our Cremation facility is located in our building. With all cremations performed in Travis County by our Certified Crematory Operators. 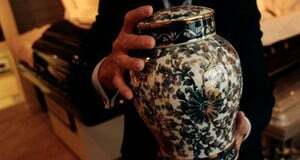 Cremation Service Austin is the only cremation facility located in Travis County. You are dealing directly with our family, never a middle man or someone in a distant city. Once we receive the remains of your loved one at our facility they never leave our family care. We are proud to be locally-owned and family-operated. The truth is we are the ONLY affordable cremation service working and living in Austin. 100% Local family ownership means we have NO Stockholders, Partners, Investors or any other outside influence on telling us how to care for your family. Other companies may say they are local but will run their operations out of distant cities. Our cremation center is located in Travis County. 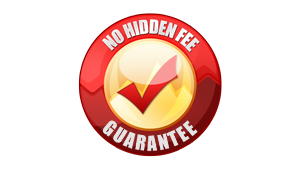 There are NO hidden charges or fees in our service so there is no confusion in what we do. When your family seeks a local Austin cremation provider, you can count on our family to care for your family. Call us toll-free at (888) 360-3494 or email us today. Our Austin and Killeen funeral services are designed to fit your needs and budget. Whether you are in need of a Bastrop or Temple funeral home or cremation services in Waco, we’re available to help you make simple arrangements. We can walk you through the process of writing and submitting an obituary. When in need of a funeral home, you can rely on our experience to make the process as easy as possible. Killeen, TX funeral home services are also available through our convenient location. 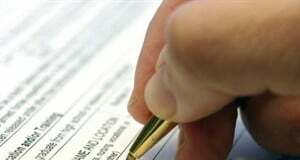 If you need our help, you can call us or fill out our immediate need form. If you’re looking for a funeral service provider that caters to Military veterans, our Austin and Killeen facilities are conveniently located to provide the services you need. 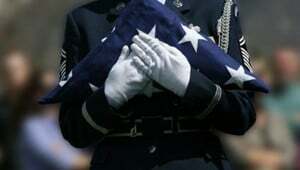 Offering military cremation services that include a free U.S. Flag, we aim to make the experience as memorable and special for loved ones as possible. Whether you are in Austin, Salado or Temple, we can help you today. Not only is our cremation service one of the most affordable, but we can also guarantee that we will never charge hidden fees. We stand behind that promise. Beware of other places that may charge you for things such as mailing death certificates and sending obituaries to newspapers. Your family deserves service at a reasonable price and we are the only affordable company that stands behind our superior service. We understand that there are plenty of places to go for Austin or Killeen funeral home and cremation services. We’ll work with you closely; we have over 25 years experience in providing you with the information you need to hold a beautiful, affordable funeral or memorial service. When dealing with loss, you need a cremation services provider that understands your needs and provides affordable, caring service. Affordable Burial & Cremation Service provides affordable Austin cremation plans at fair cost, striving to provide your family with the most comfortable experience possible. Our funeral home is family owned and operated and we have over two decades of experience working with families in and around Austin and Temple/Killeen for direct cremation and funeral services. Because we specialize in simple cremation service we can help your family. Families in Austin, Elgin, Salado, Kyle and surrounding areas can rely on us for affordable cremation plans. Families needing cremation in Killeen or Temple, Texas areas can rely on our family to provide them with the most affordable and caring cremation service. We have a location located in Bell County to care for families in Temple, Killeen, Harker Heights, Belton, Copperas Cove, Salado, Troy, and Rogers. We offer simple cremation service designed to make decisions easy for you. If you are seeking a basic cremation service in Killeen, Temple and surrounding areas let our family show you how we can provide a cremation service that is affordable and dignified for your family. Check out our Google Plus page to learn more about our Killeen funeral and cremation services. We provide cremation service in San Marcos, Kyle, and Buda. If your family is seeking a family-owned basic cremation service, we can help. We have over two decades experience in helping families with simple cremation services. Call us and our family will work to provide you with the simple cremation service you desire. Families seeking cremation service in Round Rock, Texas can depend on us for our experience and care. We provide cremation service at any hour. Because we are family owned, we provide affordable cremation service in Round Rock at a fraction of the cost of the modern traditional funeral home system. For cremation services in Round Rock or the surrounding areas, call us and let us show you how we can provide cremation services with affordable pricing and utmost professional care. If your family is looking for a simple cremation service in Austin, we are here to help. Our cremation facility is centrally located and convenient to all Austin area neighborhoods and hospitals. We are a native Austin, family-owned company and we wrote the book on simple affordable cremation services in Austin, Texas. Our family founded the first Austin affordable cremation service over 15 years ago. 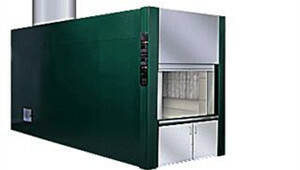 We own our own crematory and provide families with simple cremation services. Because we are family-owned and operated Austin families can depend on us to provide cremation services in Austin at affordable prices. If you need a simple cremation at an affordable price then our family is here for you. We offer simple, one-price services with NO Hidden Fees or Charges. There are many other cremation providers who will charge you additional fees for deaths occurring at a residence. There are other companies that will charge you for a permit fee in Travis County that do not exist. 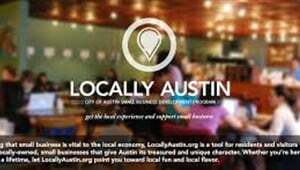 Because we are an Austin Family-Owned Business we believe there should be integrity in our pricing. We post our funeral and cremation prices right on our website so there is no mystery to what a cremation or funeral cost. Integrity in our cremation and funeral pricing is another little thing we do that makes a big difference for your family. We specialize in simple funeral services and can help you and your family when in need of a funeral home in Austin, Round Rock, Georgetown, Killeen, Temple, Cedar Park, Leander, Copperas Cove, Belton or surrounding areas. Families in Austin, Georgetown, Cedar Park, Killeen, Copperas Cove, Belton, Elgin, San Marcos, Temple and surrounding areas can rely on us for affordable funeral plans. We offer funeral services including caskets starting at $1,995. For more information on services and plans, you can visit our funeral cost page. Serving the Austin and Killeen/Temple areas, Affordable Burial & Cremation Service offers 24-hour service. Call us now at (512) 354-2509 or (254) 200-0400. Affordable Burial & Cremation Service are fully licensed funeral homes and licensed Crematory (Austin license #4121 / Killeen license # 4011/ Crematory license #2469) dedicated to providing your family with a sincere, caring service at an affordable price. We eliminate the need for the high-priced modern funeral home and focus on simple cremation or funeral options. By doing so we pass that savings on to your family. We are the only Affordable Cremation Service with an On-Site Crematory in Travis County. We provide 24 hour cremation service in Austin, Bastrop, Cedar Park, Leander, Round Rock, Pflugerville, Georgetown, Belton, Temple, Killeen, Harker Heights, Copperas Cove, Burnet, Marble Falls, San Marcos, Lockhart, Taylor, Elgin, Kyle and surrounding areas. If your city is not listed here, call us - we will be glad to assist you or find a provider who will work with your family.